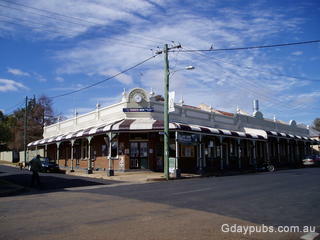 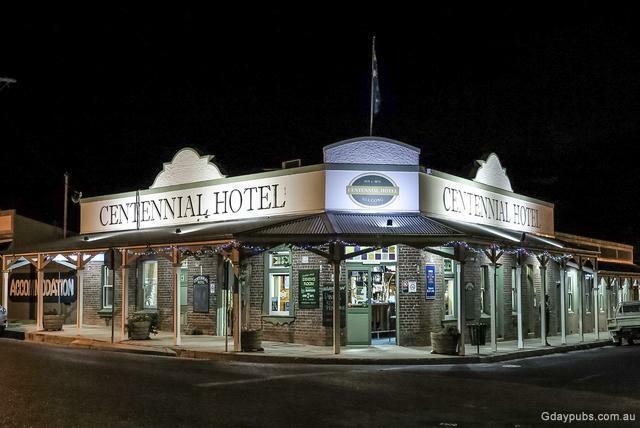 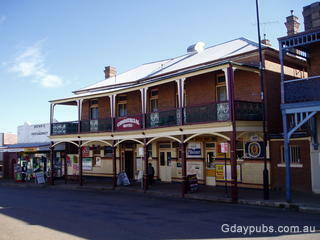 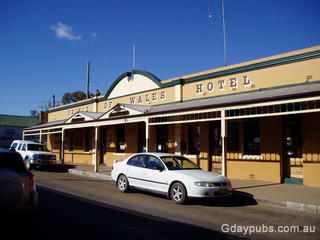 Centennial Hotel The oldest hotel in Gulgong with Pub style accommodation and Dining room with open log fire. Former Commercial Hotel Built in 1890 replacing W.Selfs Hotel. 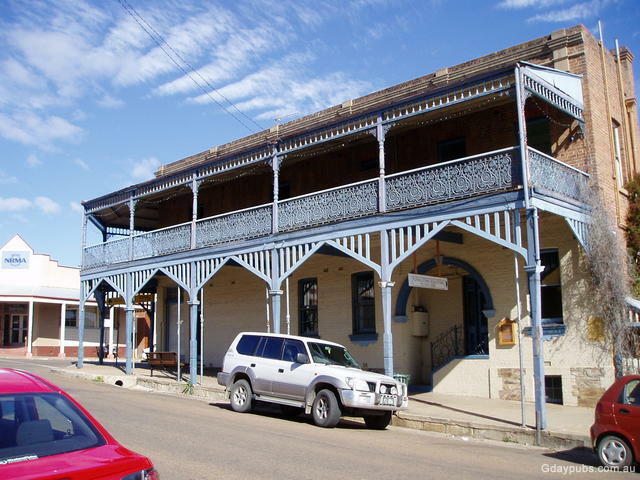 Old gold mining town. Once the home of Henry Lawson. 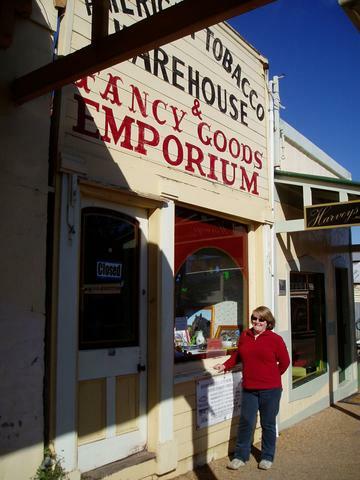 Mayne St has the Greatest Wonders of the World, the Fancy Goods Emporium, the Ten Dollar Town Motel (originally the Royal Hotel) and the American Tobacco Warehouse. 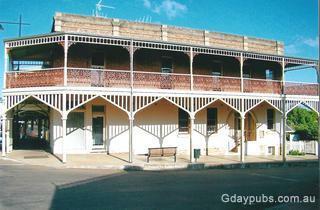 The latter was one element of the montage on the old Australian $10 note. However, as the word 'American' was considered inappropriate for inclusion on the note, the awning in the reproduction reads 'Gulgong - Dispensary - D. Zimmler'.